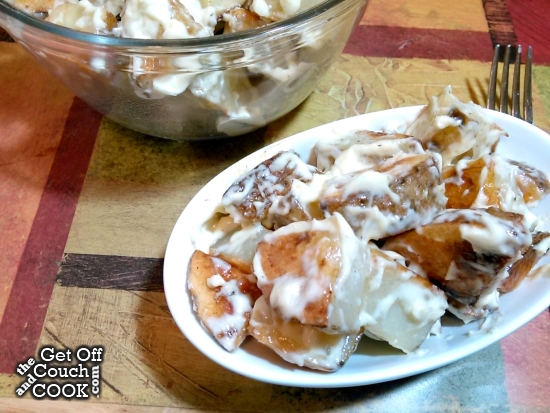 Potatoes are roasted for a slight twist on this Spanish side dish or tapas where cooled potatoes, which are traditionally boiled, are tossed with homemade aioli. This month I was assigned Manu’s Menu which made me excited. I already had a ton of her recipes in my Recipes to Try notebook and that was before I even knew she was part of the SRC, too! Manu, short for Manuela, is an Italian-born Sicilian living in Australia with her Indian husband with their Aussie-born daughters so they are truly, in her words, a multi-cultural family. 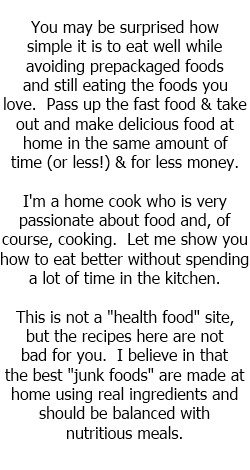 This and the fact that she has traveled all over the world is as apparent in her food as her love of cooking so I enjoy reading through her blog. I ultimately decided to make her Patatas Alioli or aioli potatoes for my Secret Recipe choice which includes her homemade aioli. So it’s kind of 2 recipes in 1! The potatoes are traditionally boiled but since Mr. O isn’t a fan of the texture of boiled potatoes once they have cooled, I opted to roast them instead. I really enjoyed the Spanish version of aioli which uses the whole egg instead of just the yolk so it was a little fluffier, a little lighter. Preheat the oven to 425º. Line a large rimmed baking sheet with parchment or aluminum foil. Place the potatoes in a large bowl and toss with 1 Tbsp olive oil, a huge pinch of salt and a few grinds of pepper. Spread on the prepared pan and roast for 45-50 minutes. Meanwhile, add the egg, garlic, 2 Tbsp of the olive oil and a pinch of salt in a blender. Blend until smooth. While the blender is still running, drizzle in the rest of the oil slowly. (I put mine in an empty squeeze bottle to control the drizzle.) Keep blending until all of the oil is incorporated then drizzle in the lemon juice. Taste and add more salt as needed. Scrape into a bowl with a lid and refrigerate until needed. Once the potatoes are golden brown and are cooked all the way through, remove them from the oven and let set for about 10-15 minutes until cool. Toss the potatoes with the aioli and serve. 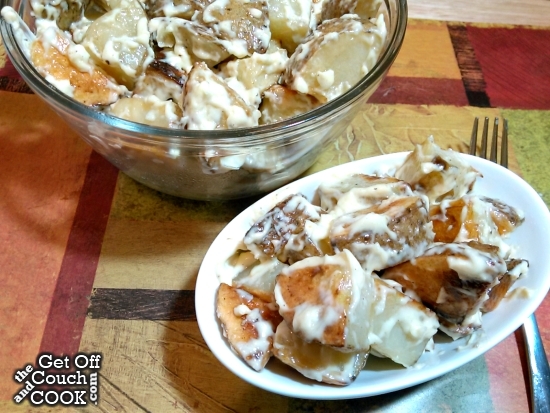 A lovely version of potato salad. Tons of garlicky goodness there. While I am not a potato like salad person, this aioli potato dish doesn’t feel like that at all since it has such simple ingredients to use in it, rather than prepared jarred stuff. seems like a delicious side dish choice. Ohhh Sashi! Thank you so much for all the nice words you said about my blog! I love this side dish and aioli is my favourite condiment EVER! I am so happy you liked it! 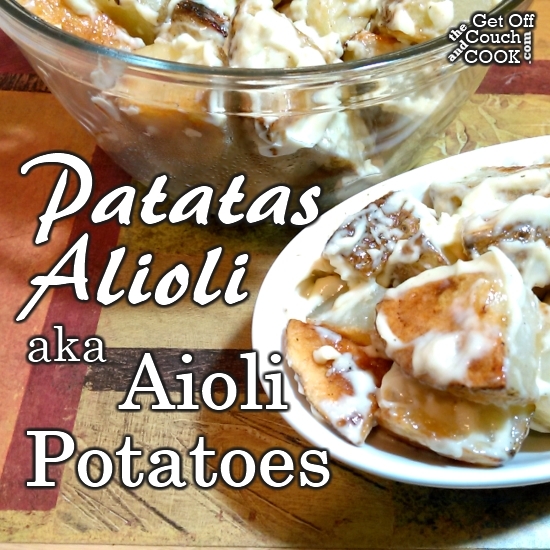 I love potatoes and I love aioli so this sounds like the dish for me! !